Vision to Purpose is a Christian organization formed by Dr. Jeannine Bennett. It is a limited liability corporation (LLC) physically located in Virginia Beach, Virginia. In addition to the physical location, Vision to Purpose has a significant online presence enabling us to reach clients all over the country. 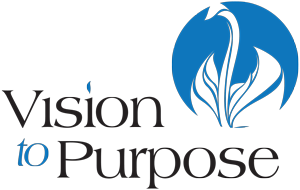 Vision to Purpose is an organization of professionals possessing 30 years of experience in business, education, government, law, media and other industries. Our experience gives us the insight needed to tailor our services to each unique situation. Unlike our competition, we do not take a cookie cutter approach when working with clients. We are solution oriented working closely with our clients to ensure we understand their needs. We know the door to endless possibilities starts with a VISION. However, it is with PURPOSE that we move out on that vision. Do you have a vision for your future? Are you living the life you want to live? Is your company surviving or thriving? Our coaching and consulting process starts by getting to know you and what you envision for the future. Using our industry knowledge, expertise, and a culmination of tried and true practices, we help our clients align their vision to their purpose so they can achieve their goals. The Vision to Purpose team is made up of dedicated professionals who have real world experience. Whether it’s working with students in a university career services setting, providing management consulting for clients such as NASA, or serving as executive leadership advisors, our professionals have vast and diverse knowledge and experience they are ready to share with you to get you to the next level. If you are seeking a career coach, a life coach, a professional resume writer or a business consultant, then you have come to the right place. Vision to Purpose is committed to helping you succeed! To learn more about Dr. Jeannine Bennett, please click here for her bio.